With SpeedSafe technology and the versatility of a partially serrated blade, the Kershaw Drone 1960ST is a knife you will be happy to carry daily. The blade is 8CR13MoV stainless steel with a stonewashed finish. Deployment of the blade is initiated with a flipper or thumbstuds. Once opened, the blade is secured in position with a liner lock. Textured glass filled nylon handles provide a lightweight, yet solid gripping surface. 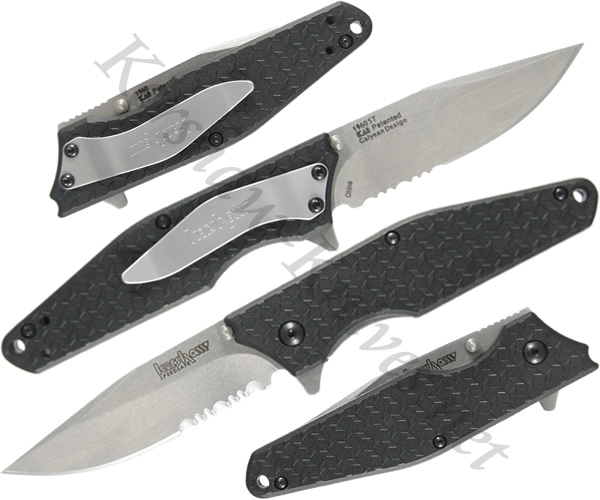 A reversible pocket clip is included with the Kershaw Drone 1960ST for left or right carrying.